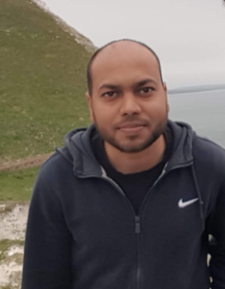 Hi, I have been working as a senior researcher in computer vision and machine learning at the Torr Vision Group (University of Oxford) since 1st March 2019. Prior to that, I was a postdoctoral researcher in the same group from 1st Aug 2016 to 28th Feb 2019. I am also associated with an amazing startup based in Cambridge (U.K.) called FiveAI where we are trying to build driverless cars. During my PhD, I was part of CVN group of INRIA and CentraleSupélec where I worked under Prof. M. Pawan Kumar and Prof. Nikos Paragios from October 2012 to March 2016. I work in the field of machine learning (optimization, deep learning, generative models etc.) and its applications to vision and language. Please find below few research areas (and related articles) that I am currently excited about. In BMVC 2017 (Oral), London, U.K. In EMMCVPR 2017, Venice, Italy. In MLMI MICCAI 2017, Quebec, Canada. In ECCV 2016, Amsterdam, the Netherlands. In ICML 2016, New York City, USA. In ICCV 2015, Santiago, Chile. In ECCV 2014, Zurich, Switzerland. In IEEE Intelligent Vehicle Symposium (IV) 2013, Gold Coast City, Australia. In MICCAI 2013, Nagoya, Japan. In IEEE Journal of Biomedical and Health Informatics, 2018. In Journal of Applied Soft Computing, 2012. In Pattern Recognition Letters, 2011. Puneet Kumar, Master Thesis 2012.